Cyber insurance is one of the most important issues for the property and casualty industry today. Cyber threats pose a risk to ALL Canadian businesses. Whether you are a large corporation, regional company in Ontario, or even a local or home-based business, cyber threats are very real – a reason why, if you haven’t already, you should get a cyber insurance quote for your business. Everyone is online and everyone is vulnerable to increasingly complex cyber threats. All it takes is one stolen smartphone, a hacked email, or a virus to cause huge costs for your company. But these are not the only costs – a data breach could cost you your reputation and the trust of your customers. Today, all businesses rely heavily on IT solutions for operations. From desktop computers to mobile devices, cloud computing and more, there is no shortage of things you need to protect against cyber threats. Since no system is 100% infallible, cyber insurance will cover potential risks to you and your business. What Is Cyber Insurance? What Is A Cyber Risk? 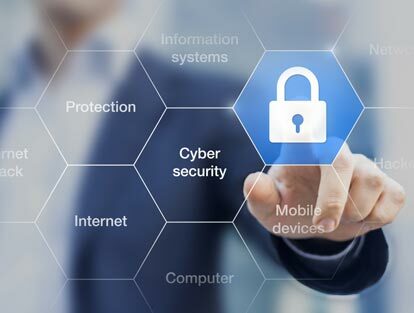 Cyber liability insurance for business protects you from financial losses, business disruption or reputation damage that can occur from failure or problems associated with your information technology systems. While it has been around for more than a decade, many companies still do not have coverage and are unaware that this type of insurance is available. Known by a variety of names such as cybercrime insurance, cyber extortion insurance, cyber security liability insurance, cyber risk insurance, and cyber terrorism insurance, it can be confusing for organizations to understand the type of coverage they need. While cyber risk insurance can’t prevent a cybercrime from occurring, it can help your business post-attack by maintaining your financial stability. Protect your business from Cyber risks! 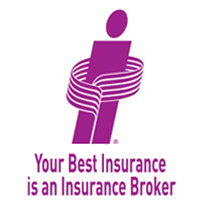 Call a ThinkInsure broker now 1-855-550-5515 or request a quote online. What Does Cyber Insurance Cover? What Is A Cyber Insurance Policy? Insurance For Data Breaches : This coverage covers a business for the costs associated with a customer privacy breach including expenses like legal fees, credit checking and associated fines. Media And Multimedia Liability : This type of insurance covers third party damages for intellectual property rights infringement or website defacement (attack on a website). Extortion Liability Insurance : Coverage for losses due to extortion associated with information technology systems. Network Security : Damages to third parties caused by denial of access, or costs related to data on third-party suppliers or theft of data. Cyber insurance is an ever-evolving form of insurance coverage. As new threats arise, underwriters are continuously making adjustments to business cyber insurance coverage and policies to provide maximum coverage. At ThinkInsure, our brokers can help you find the right cyber insurance coverage from the right insurance company. Working with more than 40 leading insurance companies in Canada, we have access to a variety of cyber insurance coverage options that provide protection for everything from legal liability, direct loss, and other losses from data and security breaches. All plans are specifically design to be easily added to your current business insurance policy. Depending on the provider, coverage may also be catered to your specific industry. Talk to a ThinkInsure broker to get a cyber insurance quote today! Cyber insurance costs vary, just like any other business insurance product. Cyber insurance premiums need to be customized to your business’ specific needs; and insurance companies consider many factors when determining the cost of cyber insurance, including your industry, company size and revenue, the services you offer, the type of data stored on your network, the security measures taken by your company, privacy policies, and more. Cyber insurance can cost hundreds of dollars to tens of thousands of dollars annually. Regardless of the cyber insurance cost, it will be more than worth it if you are a victim of a cyber attack. Talk to your insurance broker today about your options for cyber risk insurance coverage. Businesses are increasingly provided with more cyber insurance options as more cyber insurance providers enter the market. At ThinkInsure, we do our best to ensure you have access to the top cyber insurance companies and the best cyber insurance coverage for your business. We work with a variety of insurance companies who provide flexible cyber liability coverage. From specific coverages to endorsements that can be added to an existing insurance policy, we can take care of all your business insurance needs. Keep your information safe. Protect your business from cyber theft, hacking or defacement. Talk to our cyber liability insurance brokers today to learn more about our cyber insurance providers and your cyber risk insurance options. Speak with a ThinkInsure business insurance expert today. Call 1-855-550-5515 or 1-855-550-5515 or request a quote online and we’ll be happy to help you with your business insurance needs. 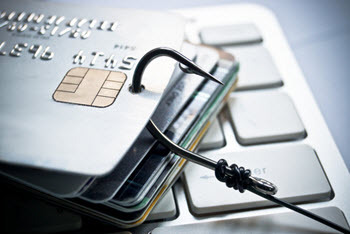 Cyber criminals target all sized companies, not just large corporations. No longer is it a matter of if you will get attacked, it is a matter of when, especially if you have limited resources and are not taking steps to secure your business network and protect your data. Did you know that 1 in 3 cyber-attacks target companies with fewer than 250 employees? The estimated global cost of cyber attacks annually is $400 billion. By 2019, this number is expected to increase to $2.1 trillion. Between 2013-2015, the average cost of a data breach has increased by 23%. The average annual number of cybersecurity incidents is 80-90 million. From 2014 to 2015, cyber security incidents rose by 38%. The number of zero-day vulnerabilities (holes in software programs vendors are not aware of) discovered more than doubled to 54 in 2015 – a 125% increase. Vulnerabilities were discovered in three-quarters of websites. Licensed Brokers : All ThinkInsure brokers are RIBO (Registered Insurance Brokers Of Ontario) licensed insurance professionals and can help you compare cyber insurance options. Trained Business Insurance Experts : Our experts get regular training and education on the latest business cyber insurance products and industry developments. Risk Assessment Professionals : We’ll identify the cyber insurance risks based on your business and create a customized insurance solution to make sure your business is protected properly. Get A Cyber Insurance Quote And Coverage Today! We’ve all heard the stories of companies experiencing significant security breaches and the fallout from these events. Don’t be the next company to experience a data breach without protection. Contact us today to get a cyber liability insurance quote. Speak with a ThinkInsure business insurance expert today. Call 1-855-550-5515 or request a quote online and we’ll be happy to help you with your business insurance needs.